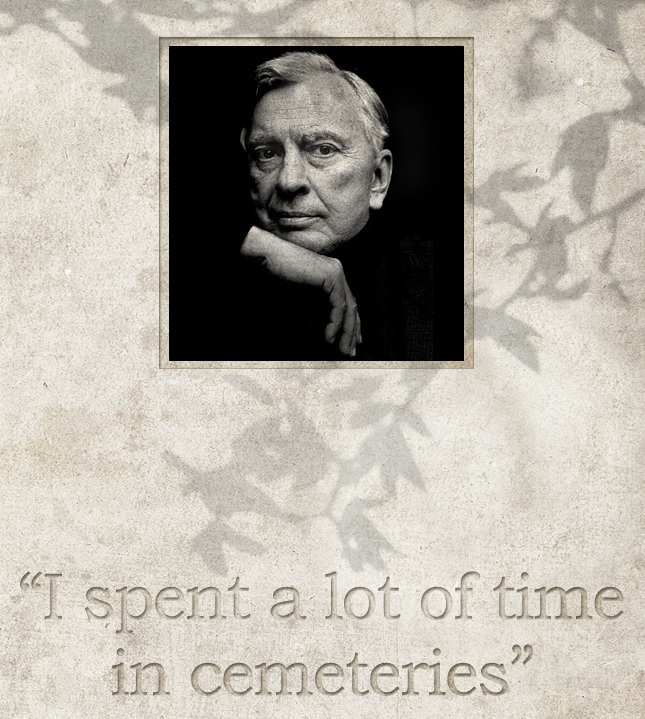 At the age of eighty-three, Gore Vidal is the grand old man of American letters. His contemporaries – Norman Mailer, Kurt Vonnegut, Arthur Miller, John Updike, Saul Bellow – are all dead. He is the authoritative voice to which Europeans turn for a view on the United States of Amnesia, as he is wont to call it, that is unfettered by the jargon so often used to vindicate its foreign policy. I talked to Gore Vidal a week after he visited London in January, 2009, in order to once again fulfil his role as the seer of the American political system. “A bi-partisan committee of the House of Commons invited me to address them in Westminster Hall on the matter of Cuba,” he reported, and added with characteristic humour, “having lost my speech at the airport I winged it.” With him Vidal brought a lieutenant from the American Navy, “who has just served two years in Japan, overseeing that section of empire. There were hundreds of MPs there, and a great many ambassadors from Latin America, and I realised that not one word had spread to England that there is great dissension in the military ranks of the United States of America”. Vidal holds a unique position in the American literary and political landscape. He is an observer who is also an insider. This is the key to his authority. His grandfather, Thomas Pryor Gore, helped found the state of Oklahoma, and served three terms in US Senate, from 1909-1921, and again from 1931-1937. Through the Gore family he is distant cousin to both Jimmy Carter and Al Gore. His father, Eugene Vidal, was a West Point graduate who served four years as Director of Air Commerce under the Presidency of Franklin Delano Roosevelt. Through his mother’s second marriage, and his stepfather’s subsequent marriage to Janet Bouvier, he is linked to the Kennedys. As an independent writer he is not part the system and therefore does not need to play the game of subterfuge that defines contemporary politics. His dissident perspective is at once both unique and uniquely informed. Vidal is the author of twenty-four novels, the first of which, Williwaw, was published in 1946. The breadth of his work is impressively wide and ranges from The City and the Pillar (1948), one of the first American novels to deal frankly with the subject of homosexuality, through to the historical masterpiece Lincoln (1984), and the anarchic satire Myra Breckinridge (1968). As an essayist he is equally prolific and has produced, as Jay Parini wrote in his introduction to the recent Selected Essays, what “must be considered among the finest examples of the genre”. 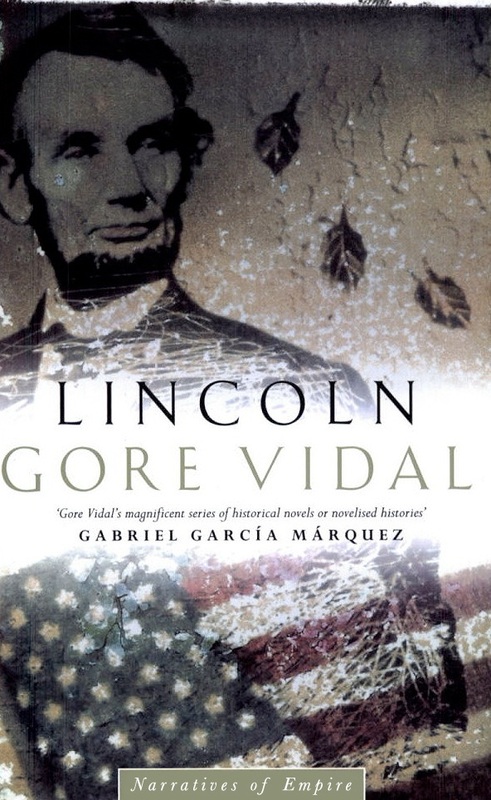 In the ‘00s the Bush presidency further energised Vidal’s work as an essayist, as demonstrated in the three volumes Perpetual War for Perpetual Peace: How We Got To Be So Hated, Dreaming War: Blood for Oil and the Cheney-Bush Junta, and Imperial America: Reflections on the United States of Amnesia. The idea of a dictatorship, and the capacity of the American Presidency to facilitate one, has long been a subject of Vidal’s. His Lincoln is essentially about how, under his wartime powers, the President found that he could execute his office with all the powers of a dictator. Lincoln was on Barack Obama’s reading list when he was elected President last November. If nothing else it would, in this time of political and economic turmoil, provide Obama a useful lesson in how to wield the Executive Privilege. The one issue Vidal identified as a problem in the first weeks of the Obama presidency is that “he seems to have forgotten the war, which I think is a mistake. To get rid of it is why he was elected”. As to his stands on equal pay and climate change, Vidal continued, “not everything has to come from a President, although it helps to have a President who is friendly, and open to social meliorating, which is what Obama is doing, or seems to want to be doing.” As to the future of the Obama Presidency Vidal concluded, “I am reasonably optimistic”. The blurb on the first edition of Duluth read simply “Duluth tears the lid off Dallas.” I asked Vidal who wrote that and he answered emphatically, “I did”. 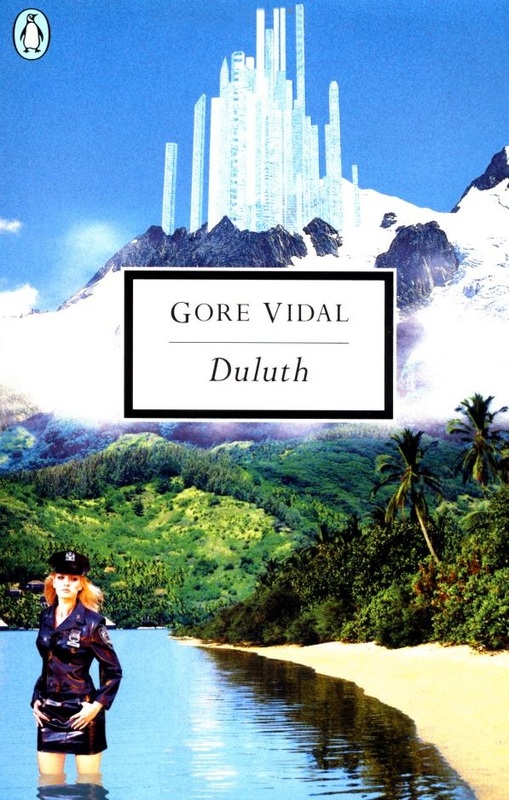 Duluth is quite unlike any of Vidal’s other satires. It is a third person narrative written in “jagged little pieces, all in the present tense, much like the TV format,” he said at the time of its publication in 1983. Its 89 short chapters are, the narrator states, “a worm’s eye view” of a city that carves a triangle out of the centre of the United States. From the city of Duluth in northern Minnesota to the Mexican border, “a mere ten miles away,” and “just across the causeway” to New Orleans, Duluth is a microcosm of contemporary America. It is, I suggested, the funniest and the most misunderstood of his books. “If you can force anyone to read it!” Vidal responded. “It’s a study in language, and you have to be interested in language …” Nevertheless, he added, “Darlene Ecks is my heroine. My life’s heroine. Partly because she’s a girl after her own heart.” There was that note of mischief in his voice again. In his essays, Vidal is matchless on the subject of other writers. His criticism is an antidote to academic jargon much in the same way that he is free from the cycle of spin in his political analysis. His insights into the works of Montaigne, Dawn Powell, Tennessee Williams, & Italo Calvino, to name but a few, are illuminating. There is one writer Vidal has not written about, a writer with narrative skills I thought would attract him, and that is John Irving. “I’m not awfully interested,” Vidal concluded when I pressed the matter. Undeterred I mentioned Irving’s A Prayer for Owen Meany, to which he responded, “Well, the religious instinct is long dead in me”. The tone changed when the subject of Edmund White was raised. In 2006 White wrote a play called Terre Haute. It dramatised the meeting between an elderly writer and a prisoner on death row at the Terre Haute prison. The writer was based on Vidal and the prisoner on Timothy McVeigh. McVeigh had written to Vidal after reading the 1998 essay ‘Shredding the Bill of Rights’. A fascinating correspondence struck up that Vidal writes about at length in Perpetual War for Perpetual Peace. One thing that rang true in Kaplan’s work was a subject that, before the publication of Point to Point Navigation, was somewhat of a mystery: Vidal’s relationship with his partner of more than fifty years, Howard Auster. I made the case for this and Vidal responded, “Well he knew Howard, so that helped him, I suppose.” Then he paused, and in gentler tone added, “I think I skipped that”. In Point to Point Navigation Vidal notes rather dryly that so many of his generation died whilst he was writing that he considered calling it Between Obituaries. He is at his most moving when he writes about Howard. “We had been too happy and the gods cannot bear the happiness of mortals,” he notes. It was to endings that the conversation naturally turned. One of Vidal’s greatest strengths both as a novelist and an essayist is his ability to write a coda. In his fiction the most startling codas are in the two greatest of his historical novels, Julian and Lincoln. With Julian the light went, and now nothing remains but to let the darkness come, and hope for a new sun and another day, born of time’s mystery and man’s love of light. who was now more than ever convinced that Lincoln, in some mysterious fashion, had willed his own murder as a form of atonement for the great and terrible thing that he had done by giving so bloody and absolute a rebirth to his nation. I asked Vidal about the significance he placed on the coda throughout the writing process, to which he answered, “I spent a lot of time in cemeteries as a kid. And you’re surrounded by other people’s codas in marble”. He then paused, and using another of his defining talents, his flawless timing, he added, “I was always jealous of the marble”.